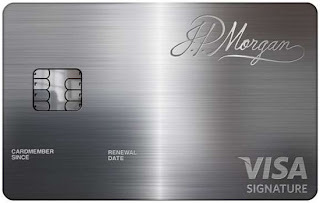 The JP Morgan Chase Palladium card is definitely a unique card. It’s beautiful to look at, hefty to hold, and exclusive to own. According to wikipedia, there are only 5,000 current cardholders. The card comes with a unique set of benefits and tops it off with a ridiculous annual fee ($595). You can see my original review of the card here. It’s been fun owning this card for the last year. Reading different forums on flyertalk and creditboards, cardholders have discovered and shared hidden benefits they were able to receive, often times just by calling the concierge and asking. Initial reports of this card indicated that a private banking relationship with Chase was necessary in order to obtain this card. Then a time opened up when one could just call the 800 number and apply for the card via phone and email (this was when I applied for my Palladium card). Newest reports from the past year indicate that one now needs to have a Chase Private Client relationship in order to apply for the card. To open a Chase Private Client relationship, one needs $250,000 to deposit. Individuals who opened a Palladium account before these new changes occurred are not required to join Chase Private Client. Global Hotel Alliance (GHA) is a collection of over 320 luxury hotels and resorts. Palladium cardholders can ask for Black Level status. This is the highest status with GHA (Platinum and Gold levels are below it). Having Black status earns you free double room upgrade, early check in, late check out, and other amenities. 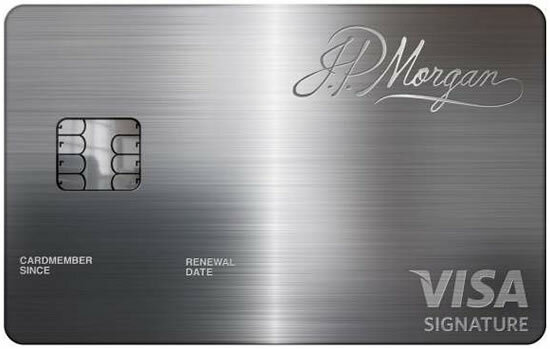 In addition to GHA Black status, JP Morgan Palladium has teamed up with some of the fanciest hotels in the world to offer additional special perks to cardholders. You can see and download their 2012 Destination Guide here. Sky Club includes 237 Delta Sky Clubs & Partner airport lounges. These lounges usually include fully stocked alcohol bars, free snacks, free wifi, satellite TV, free magazines, newspapers, fax machines. A member may bring up to 2 guests for free. Select locations even have showers. Annual Delta Sky Club Membership is $450 for 1 year, $50 for a day pass. Amenities at the more than 45 United Club locations include complimentary bar service, beverages, light snaks, free Wifi, free fax and photocopy services, and current newspapers and magazines. Annual United Membership is $475 a year (for general member), $50 for a day pass. A member may bring up to 2 guests for free. Priority Pass lounge access has now been downgraded to Lounge Club, which provides airline lounge access at over 350 airport lounges in more than 200 major cities worldwide. I'm not sure what the limit on guest access is, but I have been able to allow 7 guests to enter a Lounge Club airport lounge without issue. This card has a hidden tradeline, like many business credit cards. This means that credit reporting agencies (Equifax, Transunion, Experian) can’t see how much spending I am putting on the card. This can be beneficial in unique money “float” opportunities. Last year, cardholders received a $1,000 gift card to Harry Winston Jewelry. I haven't heard of any report of anyone purchasing anything from Harry Winston. Last year, cardholders received invites to attend a series of art receptions at Christie’s in New York. I didn’t get a chance to go, but I did read Frequent Flyer Guy’s review of his experience here. Members are reporting getting all cash advance fees waived when using their Palladium card at ATMs. A few select members are reporting getting their annual fee waived just by asking nicely. Presumably, getting your Palladium card annual fee waived is based on how much money you charged on your card. I’m going to try this when my annual fee hits and will report the results. Flyertalk user Valveking used a nuclear metal analysis gun on his Palladium card and found that the card only contained a tiny 0.155% of Palladium. I really wish JP Morgan Chase would add extra points earning features like 2x points on dining. Also it would be nice if they would offer $200 airline incidentals reimbursement like the American Express Platinum card or Chase Ritz Carlton card. JP Morgan, are you listening? Is this credit card really worth the annual fee? It depends on whether the cardholder can truly benefit from the extra perks the Palladium card offers. Otherwise, it’s just a fancy $595 piece of metal in your wallet with your name laser engraved on it in 23K gold. Are Palladium cardholders entitled to elite status on any airline? If so, which airline(s)? Currently, Palladium cardholders are not entitled to any elite status on any airlines. I know, kind of a let down.